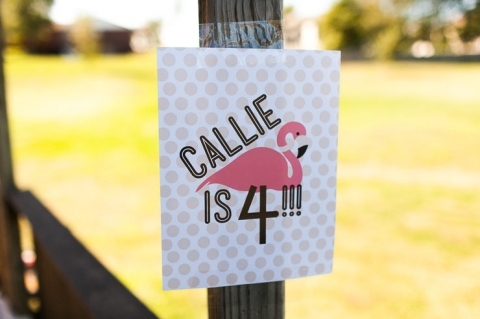 Callie’s Fourth Birthday Party: Flamingo! I can’t believe Callie is FOUR. I tried to keep things simple this year since I am 38 weeks pregnant. (Phew!) 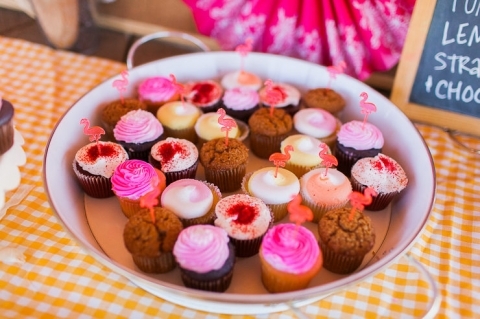 So we threw a morning party with cupcakes and coffee! Callie didn’t care about the theme so much as she did that everything would be PINK! So I slipped in flamingos because I’ve always thought their legs looked like the number four. She totally took the bait and suddenly became obsessed with flamingos. (Success!) 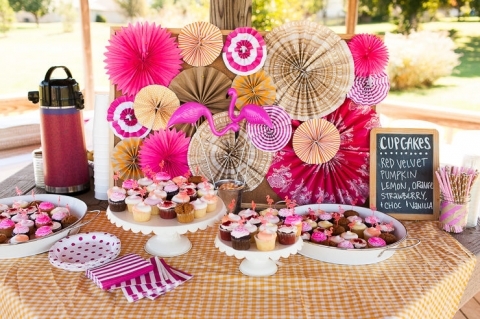 Throw in a flamingo piñata from Hobby Lobby (use your 40% coupon and it’s only a $7 pinata!) and a one-legged “flamingo” race and there you go!! You’ve got yourself a theme. 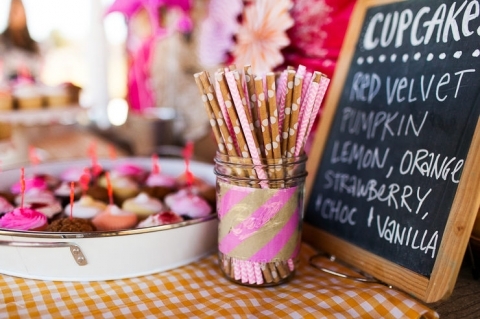 The little flamingo toothpicks and miniature lawn flamingos are both super cheap from Oriental Trading Company. We made the pinwheels from scrapbook paper I already had. 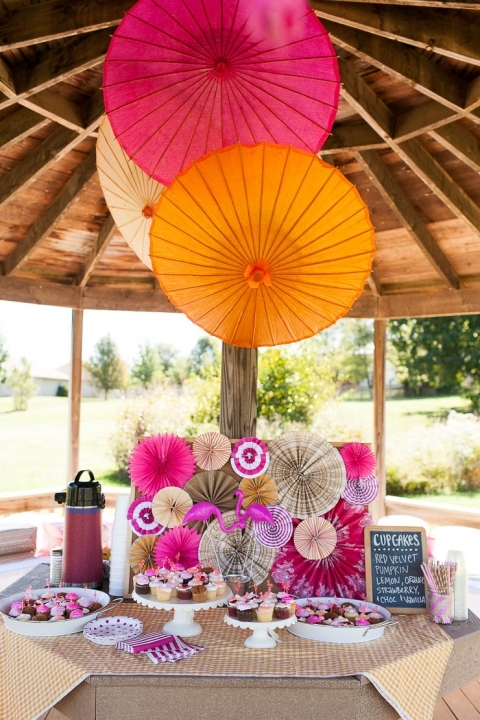 The parasols were favors from Tara & Andrew’s 2009 wedding. (So sometimes it pays to be a craft hoarder.) So really, it was a SUPER cheap party! This is so stinkin cute. You are sorta one of my favorites, and I definitely just threw my daughters 1st birthday party saturday, which had flamingos as well. Sorta makes me feel like my suspicions that we’d be best friends is pretty accurate. 🙂 Well done mama!